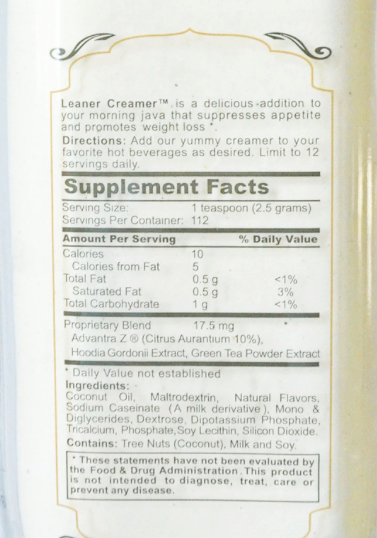 Leaner Creamer is a delicious addition to your morning java that suppresses appetite and promotes weight loss with its coconut oil based infused with its proprietary all-natural blend of Citrus Aurantium Extract, Hoodia and Green Tea Extract. 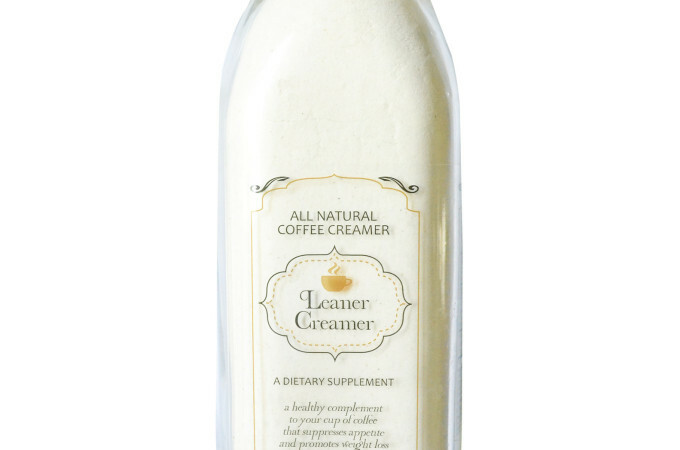 Our all-natural and non-dairy powder coffee creamer is made with the perfect hint of vanilla that will keep you coming back for more. Forget this expensive, highly processed powder. Simply stir coconut oil into your coffee and you will have plenty of benefits for your metabolism and brain.